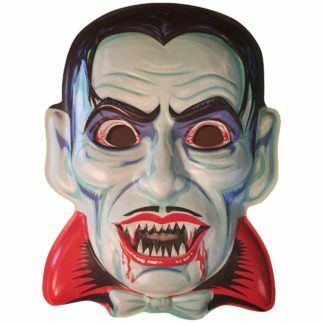 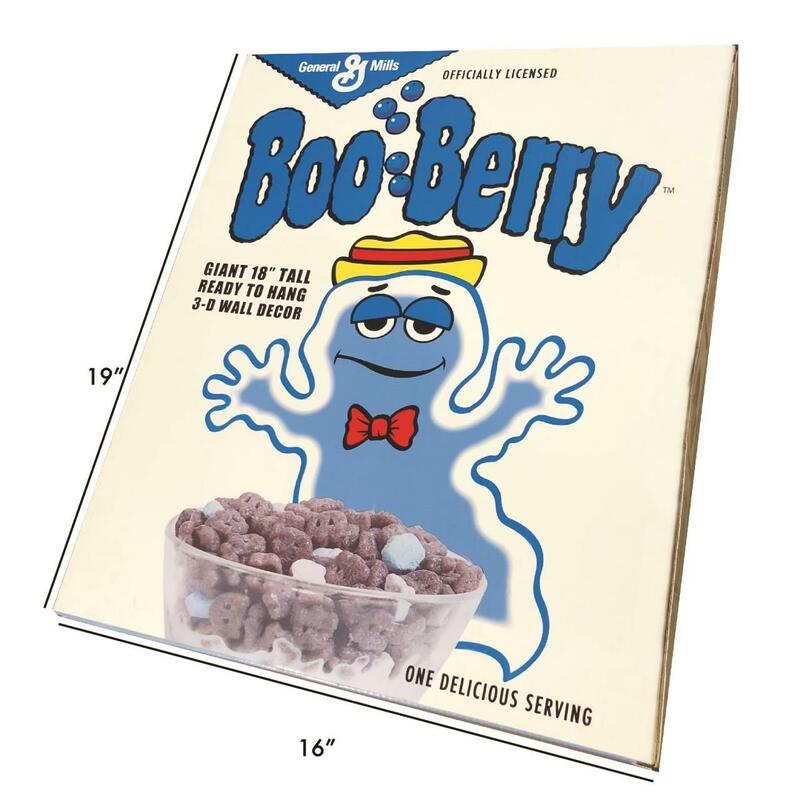 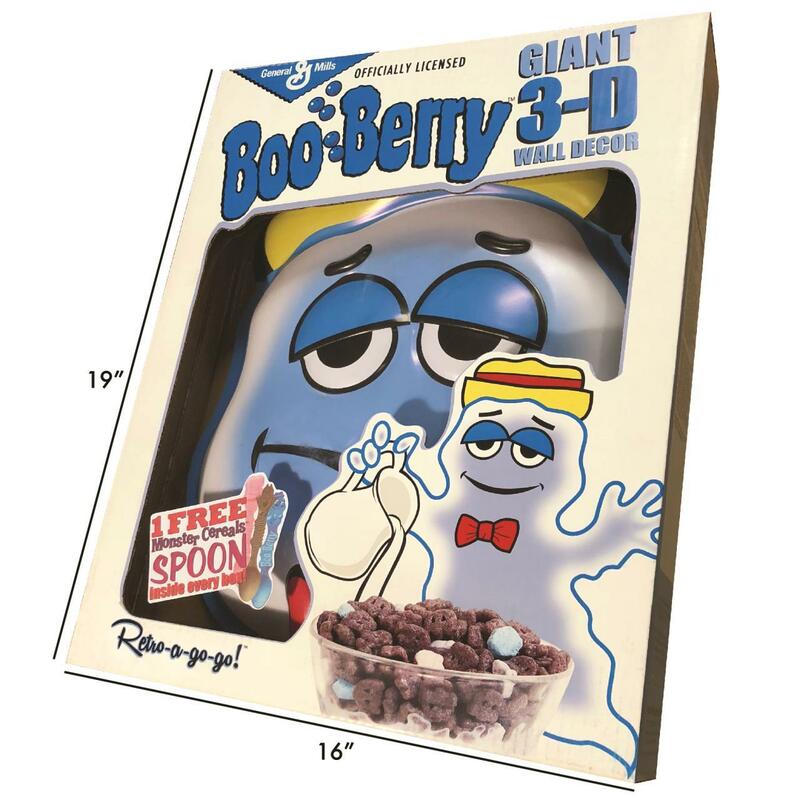 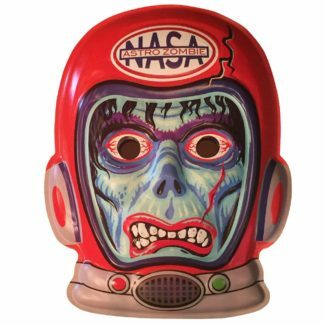 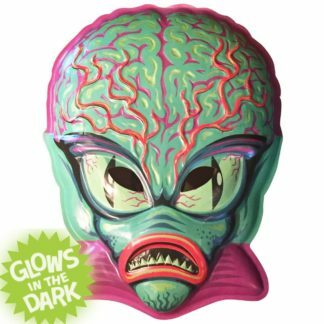 The Boo Berry mask is nearly 19″ high! 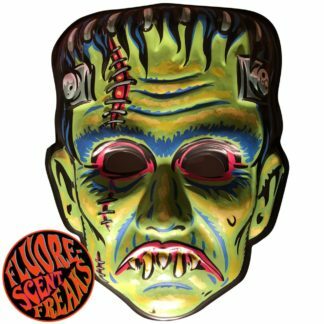 Content of mask is vac-form plastic including an attached cardboard backer with a single 2″ diameter cut out hold for easy hanging purposes. 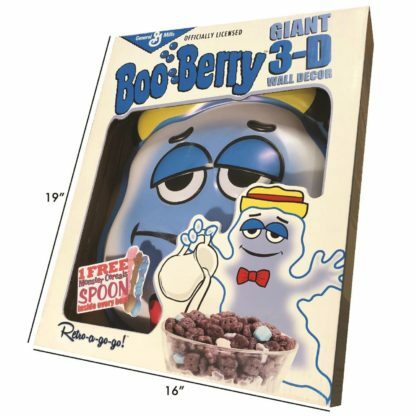 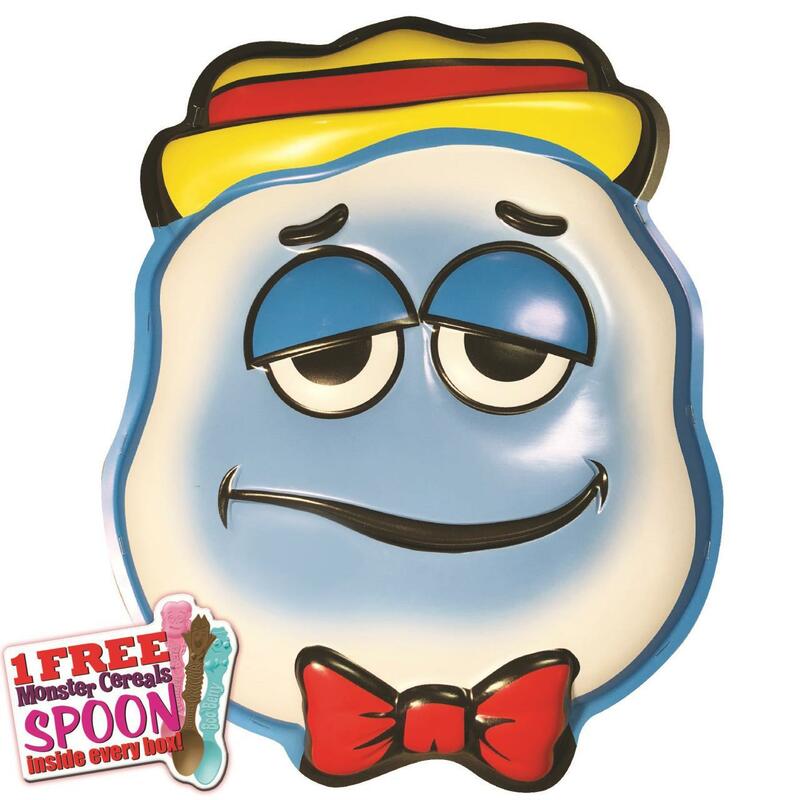 Each Monster Cereal display box is a BIG 19″ high x 16″ wide x 3.25″ deep with clear plastic window making it a terrific package to display.